Dr. Jacquelyn DuVall, Cell Microsystems, Inc. The CellRaft Technology is a straightforward means of culturing, sorting and isolating single cells and clonal colonies. The product relies on a single-use consumable, the CytoSort Array, a microwell cell culture dish that allows single cells to be individually analyzed and retrieved for downstream culture and analysis. At this webinar, Cell Microsystem’s Jacquelyn DuVall, PhD will review protocols recommended by Cell Microsystems for the most efficient use of the CytoSort Array. Optimized practices for cell seeding, staining and applying coatings will be presented. Finally, the use of the benchtop AIR™ System, a fully integrated instrument which supports imaging and isolation of cells with the CytoSort Array will be described. Click Here for the webinar slide deck. 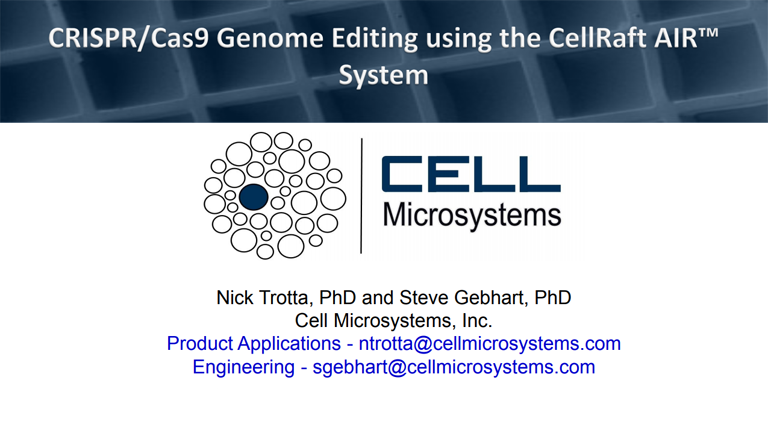 Dr. Nick Trotta, Cell Microsystems, Inc. Generating single cell genomics data from primary human samples for translational research is very challenging given that samples must be fresh (to preserve nucleic acid integrity) and large (to accommodate sorting and preparation by FACS). These challenges are uniquely eliminated by combining: 1) newly optimized methods for single nucleus isolation from cryopreserved tissues and 2) the CellRaft technology which prepares and sorts samples of any size. This webinar summarizes recent sample preparation advances for CellRaft-based isolation of nuclei for downstream genomic analysis. 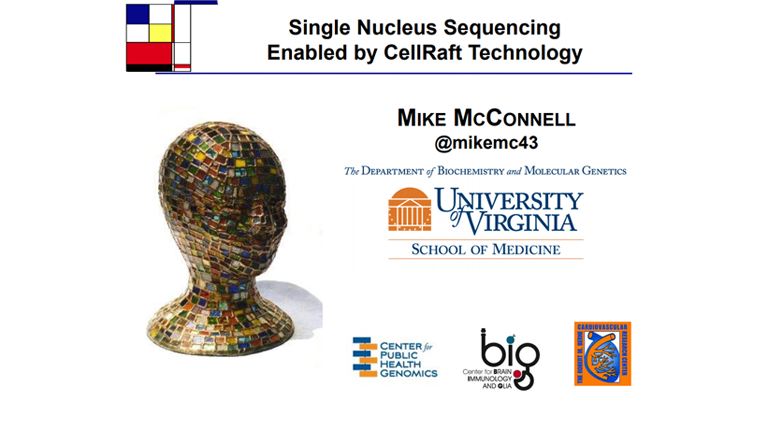 Mike McConnell, PhD of the University of Virginia has pioneered several methods in single nucleus genomic analysis and will share his optimized methods for preparing nuclei for genomic analysis using the CellRaft Technology. © 2019 - Cell Microsystems, Inc.